Hey hey! Happy Martin Luther King Jr. Day! As I've mentioned once or 50 times in the past couple of weeks, I'm spending January finishing projects and not spending money on DIY or decor (and more). An easy task for some but when you're a DIY and decor blogger it gets a bit harder. :) With my to do list I've been keeping plenty busy! I am getting the urge to visit a store though…HomeGoods? Maybe World Market? Ravage the dollar spot at Target? I love mixing styles just a bit -- I'm not an eclectic decorator per se, but I do like some unexpected touches. It has two sockets so lets off great light! I love a floor lamp that directs the light over where your sitting. Perfect for reading a book. 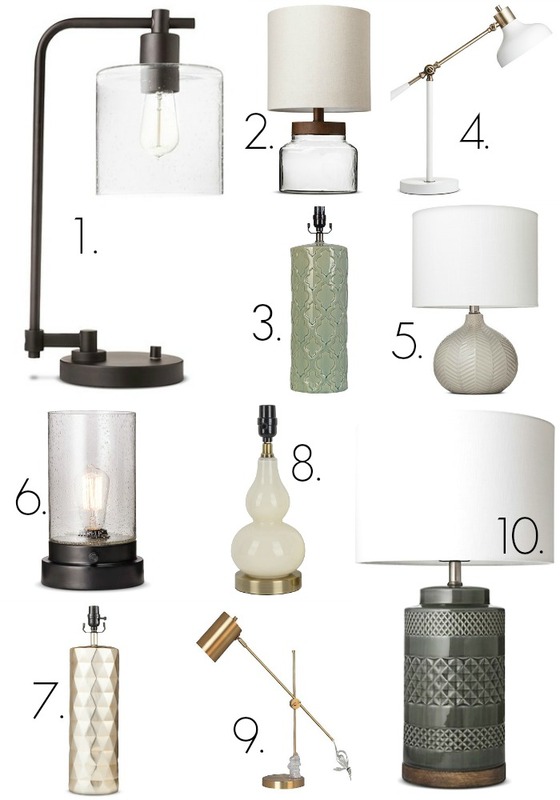 :) I really wanted the drop pendant lamp (#8) but felt like it would be too much in that spot. See? I already knew I had a pillow problem, now I know I have a lamp one as well. I had the gourd lamp for years (I love that it's so similar to the very expensive version at Ballard Designs!) but the glass and ceramic starting separating inside over time and it looked awful. Not sure what happened but I couldn't figure out how to fix it. Still a great lamp -- maybe it was a fluke. I haven't done anything else with that area since Christmas so it's looking a little lonely, but I LOVE this lamp. The design is beautiful, I'm a gray lover and the little bit of dark wood is perfect. Now I'm back to painting and to-doing. ;) Do you have any of these beauties? 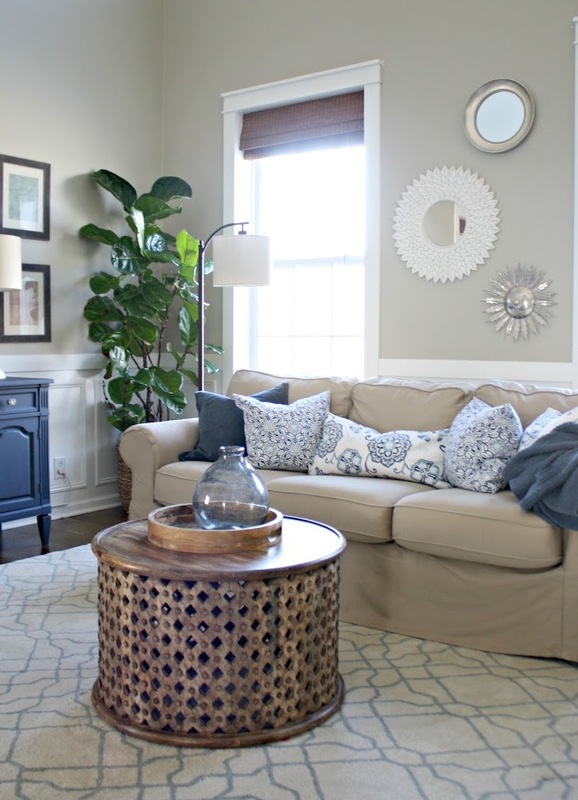 I love that brass globe lamp! Target never lets me down but I never think to look at the lighting section! I have the #8 Gourd lamps in my master bedroom, LOVE them, they are a creamy white, not pure white so very warm and inviting! Target has the BEST lamp selection...Everytime my husband and i go to target we HAVE to go see if there is any new lamps. 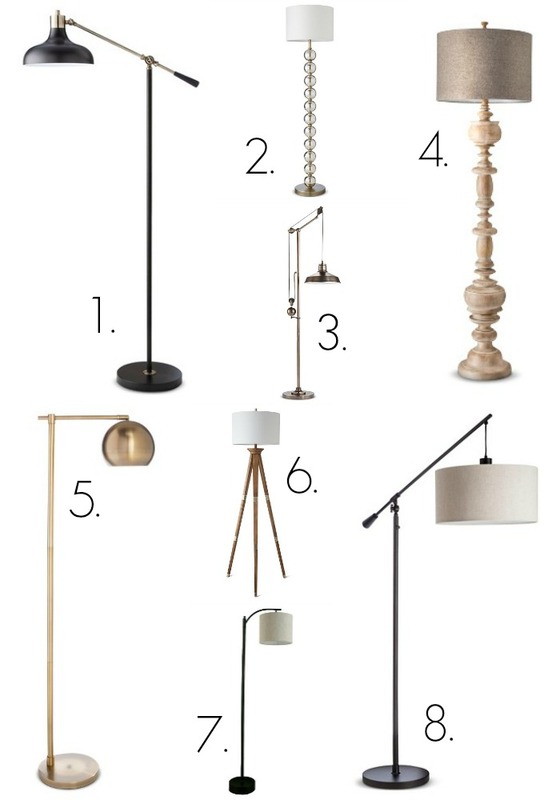 I have an old floor lamp in our room right now and I want to buy a new one....I'm thinking #2. I love that lamp! Do you have any idea where I can find two very small accent lamps? I have two IKEA VITTSJO shelving units next to each other and they need a couple of small lamps and haven't had any luck yet. Thanks. Target has some pretty small ones -- I'm not sure they would be short enough but you could try! I was looking for one for our kitchen shelving unit but couldn't find one short enough so went with a clip on light from IKEA. You could look into that too! I just bought the Downbridge floor lamp today! I had a hard time deciding between it and the brass tripod lamp, but love the one I got so far. Thanks for sharing! I didn't realize Target had such a great selection of lamps. Looks like I need to get myself there and get a new lamp for the office! I have a lamp problem too. Best to stay out of Target for now -- trying to save as well! Thanks for the info though -- unfortunately, it's so easy to shop on line and spend money that way! My absolute favorite place for lamps is Home Goods. Amazing and realistic pricing. Actually everything there is fab! I'm a sucker for Targets bath, kitchen, and bedding textiles. It's a favorite of mine too! Lately Target has been killing it though! Yes - perfect timing! I am on the hunt for a good floor lamp for our family room. I was looking at either #7 or #8 on your list and now it says #8 is sold out!! So sad, but maybe that helps me make up my mind - plus #7 looks great in your living room, so I know I can't go wrong!! 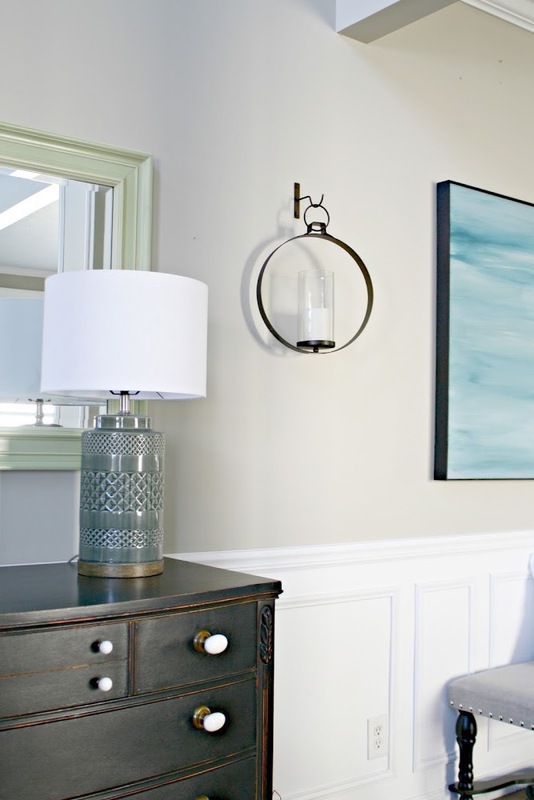 I love the wall sconce hanging next to your hand made art! Can you tell me where this is from, please? I have had the gourd lamp from target for a couple years now and just recently the ceramic and glass separated as well!! I also love your wall sconce and would really appreciate to know where it is from. Thanks! I admit I am a lamp and lighting addict....I have so many little lamps in my home. Many come from Lamps Plus - I'm a fan. 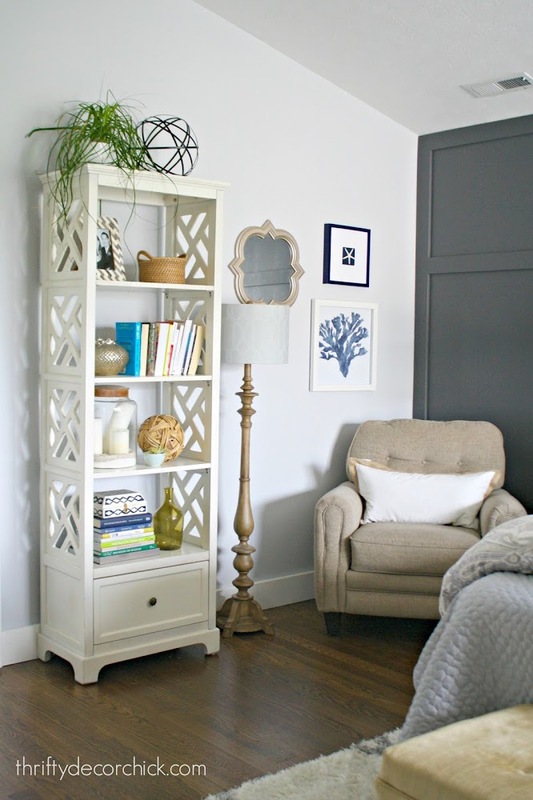 But these are great - love that pendant floor lamp - awesome! Where did you get those awesome candle sconces in your foyer? I love them! Thanks for this post. I knew the globe floor lamp would be perfect for our guest room. And it is! 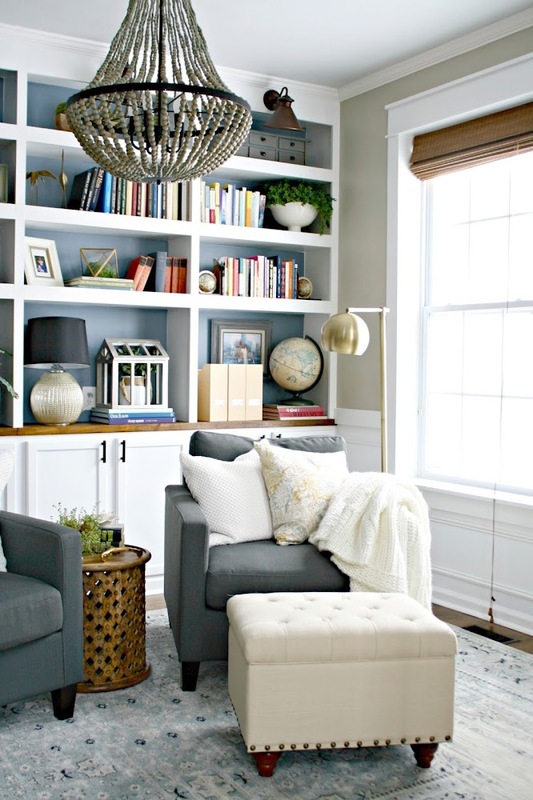 I am looking to add more lighting to my house, so this was a very timely post for me! Random question for you if you take questions --- you do seem to have a lot of pillows in your house. I love the look of them and would love to add more to my own. However, the 5 that I have are *always* on the floor. The minute someone sits down they throw the pillows on the floor. They never stay straight as long as anyone besides me is in the house. Do you not have that problem? How do your pillows fit in with practical life? Would love to know how you manage that because I would love to get some more! LOVE your blog! It's my favorite. Ha! Good question! My husband and son toss some off every day and but use the others, so I am usually picking up pillows off the floor. They leave them on chairs though. It used to drive me crazy but I love them (and use them) and now it's just something I do every few days. ;) And most days they are squished and don't look perfect, but I'm OK with that. It just depends on if that will bother you. :) Thank you!! I was just in Target yesterday and was eyeing up some of those. I think I want a tripod lamp for the corner of my office but haven't decided on one yet. Too many choices...I should just buy them all - lol. They really have the best selection and you cannot beat those prices! Since I know you're a fellow cord cringer like me (hide ALL the cords! ), I'm wondering how you hide the floor lamp cords in your library and living rooms. Or do you just let those show since they're near/behind seating? Thanks for this post. It gave me a 'light bulb' (har har) moment for how to add more light to our massive living room since I don't really care for most floor lamps. I ended up buying #8 over the weekend and it looks great! So unique and it adds such a pleasant amount of light to our room.